Feeling the summer heat already? Here, at Awesome Blinds, we know all about the warm scorching summers! 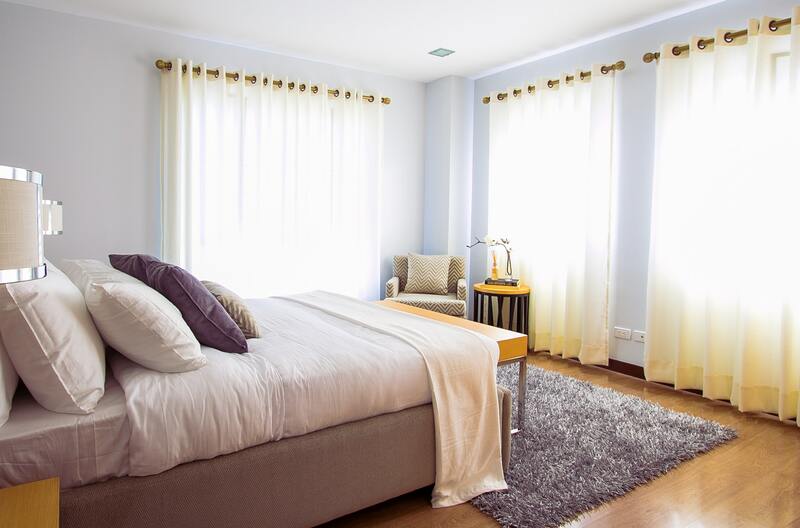 With the temperatures increasing, you must be looking for the perfect window coverings to keep your space cool during summers, no matter where you live. Given the fact that we have been into business for years, our professional staff will help you find the perfect window coverings for your rooms. Let us now look at the multiple options available to you. 1. Curtains and Drapes – Do you fancy attractive colours and elegant fabrics? If yes, drapes and curtains are the perfect choices for you. From dramatic linen to breezy cotton, our curtains can match any mood and interior of a room depending on your choice of fabric, length and drapery style. We recommend you to use bright-coloured and light-weight curtains to give your rooms an elegant appeal both from the inside and outside. We, at Awesome Blinds, can offer you a vast range of curtains and drapes to enhance the aesthetic appeal and complement your home décor. 2. Shades – Shades are one of the most popular and effective ways to beat the summer heat. Cellular shades and solar shades can block UV rays and keep your home cool for summer by reducing the glare on TV and computer screens. For best results, mount your shades close to the glass of the window frame to trap the heat completely and protect your home from warming up during hot summers. 3. Blinds – Blinds are great for beating the summer heat because its horizontal slat can be adjusted to control ventilation and sunlight. When completely closed, blinds can reduce the heat gain by almost 45 percent and thus, tend to be the most effective method at blocking sunlight. By far, they are the most adjustable and affordable window treatment options available. If blinds are what you are looking for, check out our amazing collection at Awesome Blinds that does both, enhances your space beautifully and helps you stay cool this summer. 4. Plantation shutters – Plantation shutters have a classic elegance and charm. When installed, these shutters can block the sunlight in style, by letting you adjust the levels of sunlight. Having said that, plantation shutters are durable, versatile, functional and can add resale value to your home, making them a popular option in modern homes. We want to make our customers relaxed and comfortable this summer. Go for our cheap window treatments in Melbourne to enjoy a cool and happy summer. If you are still not sure which treatment suits your home the best, give us a call. Our professionals will be happy to assist you through the process. Get in touch with us at 1300 550 552.